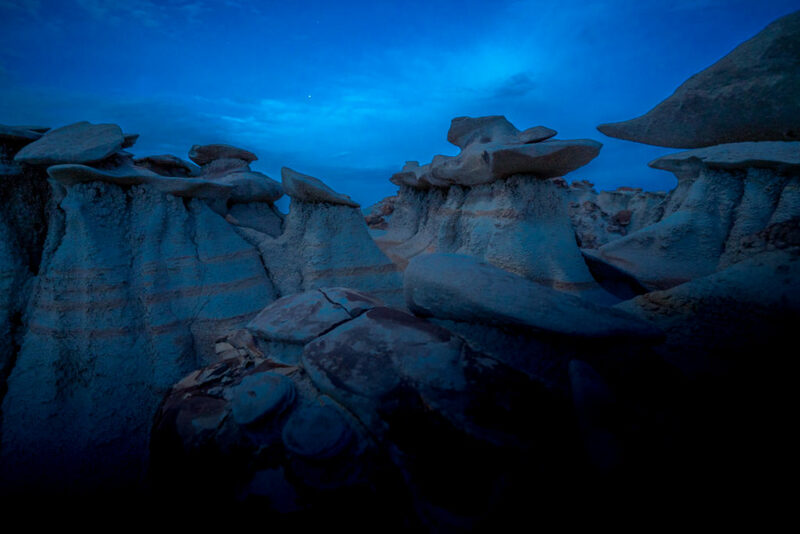 This captivating world of northern New Mexico’s the Bisti/De-Na-Zin Wilderness is unlike anything else you’ve ever seen. 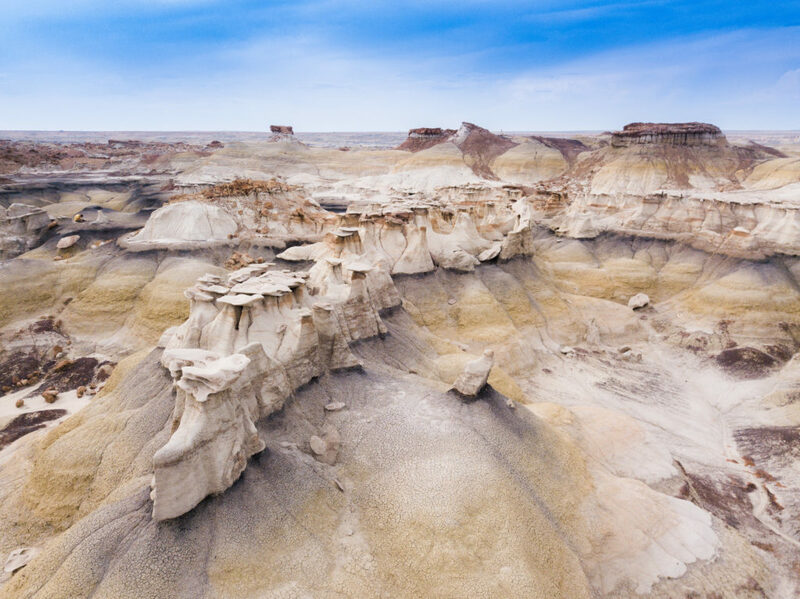 Named from Navajo words meaning “shale hills and cranes,” the Bisti/De-Na-Zin Wilderness is comprised of about 60 square miles of badlands in northern New Mexico, and is unlike much of the surrounding landscape in the San Juan River Basin. 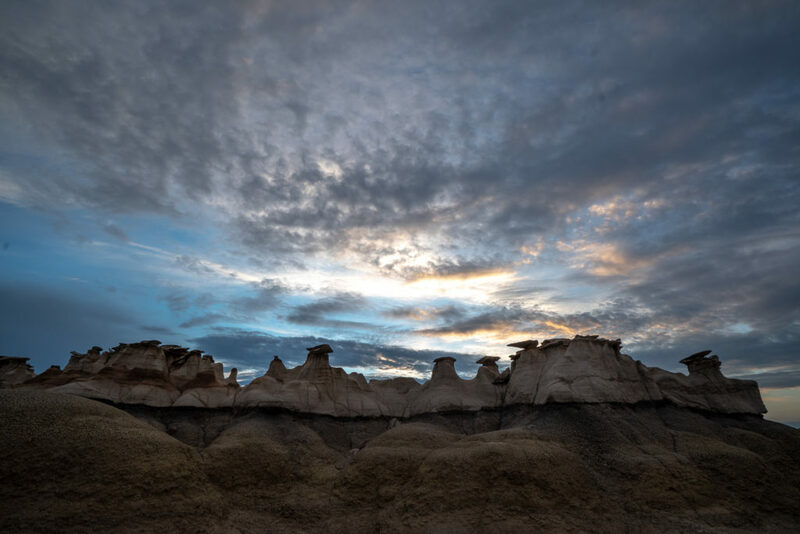 The peculiar formations of these exceptional badlands are known as hoodoos – unlikely creations of erosion-carved coal, silt and mudstone that result in curious congregations of shapes, swirling hills of towers and stools that create a dreamy, space-like environment. You can find petrified wood everywhere, and fossils of prehistoric creatures have been found here such as the Bisti Beast, a tyrannosaur recovered in 1998 during the first paleontological excavation in a federal wilderness area. The dinosaur, officially called Bistahieversor sealeyi, a tyrannosauroid with a 3-foot skull from the Late Cretaceous period, about 30 million years ago. 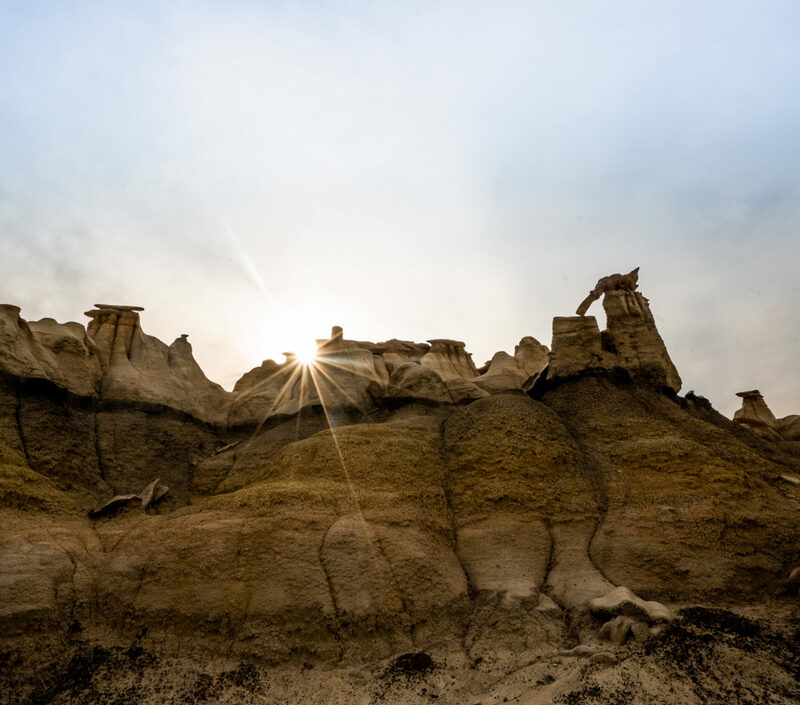 There are no trails in the Bisti, but adventurers can let their imagination and curiosity lead them into this irregular world. 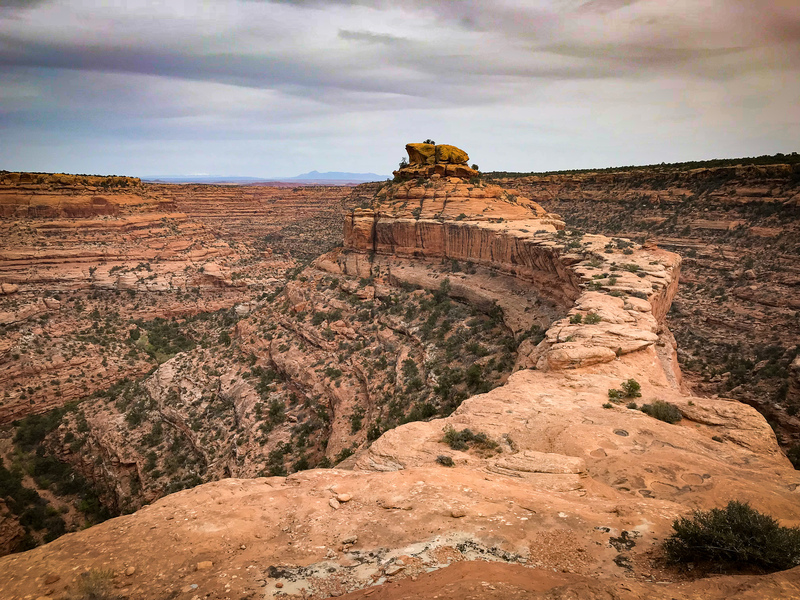 Getting there: Find the Bisti/De-Na-Zin Wilderness by traveling 40 miles south of Farmington, New Mexico on New Mexico State Highway 371. At Road 7297 head east. Take this gravel road for about 2 miles to an intersection and turn left for parking.